Terrie is the owner of the Peak Physique Hot Yoga Marion Studio. She is also an instructor at the studio (with over 500 hours of teacher training certifications) with her husband, Matt, who is a regular student at the studio. Matt assists her behind the scenes with running the studio and is happy to simply offer business support rather than becoming an instructor, as he is busy running his own successful mortgage broking businesses. 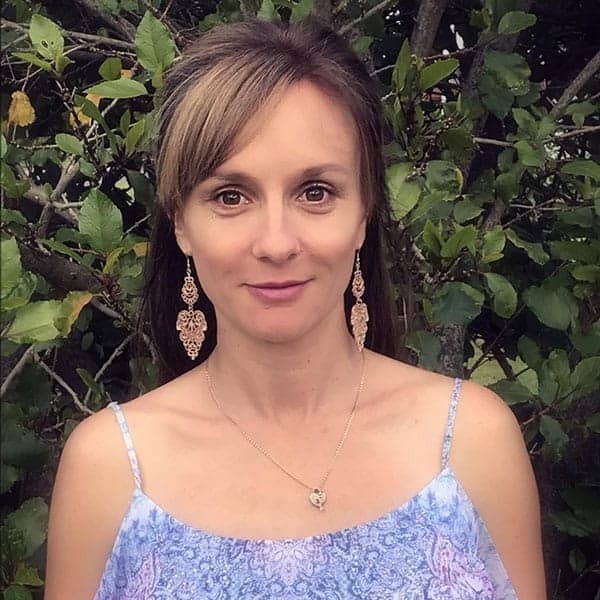 She has an extensive professional work history including experience in legal secretarial and personal assistant roles; office management; project administration; and (since having two beautiful children and completing a Bachelor of Nursing as a mature aged student) theatre nursing. It has been these work experiences that have highlighted her to see how stressful working life can be and the importance of finding a good balance between personal and professional life to maintain health and wellbeing. Since working in the health industry she has come to realise that there is too much emphasis placed on the physical body and not enough on mental health. Terrie believes that in order to achieve total health and wellbeing there needs to be unison between body, mind and spirit. This is where yoga fits into the picture. She commenced hot yoga at the Peak Physique Hot Yoga Seaton Studio in 2010 and instantly fell in love. Until that time, she had never experienced a physical activity that left her feeling physically energised and challenged yet calm and relaxed all at the same time. It was a total workout of body and mind! It was because of both the physical and mental benefits she experienced as a result of her yoga practice that she wanted to share the magic of yoga. Hence, that’s why she decided to open the first Peak Physique Hot Yoga franchise. I had every faith in her ability to run a studio from her professional work experience, and through the business support of Matt, however Terrie was excited about the challenge of offering a studio that could welcome and encourage EVERYONE to experience the benefits of yoga, regardless of their physical ability or socio-economic status. Terrie feels that yoga is often glorified in social media with pictures and videos of people doing some pretty fancy poses, sometimes looking like pretzels! Whilst this is fantastic if you have the flexibility and desire to achieve such poses, it is important to remember that this is not the goal for everyone. It is her dream that everyone gives yoga a go and doesn’t assume that what is depicted on Instagram is what is expected in all yoga studios. Terrie would like everyone to know that the purpose of yoga is to connect the body and the mind with the breath, to achieve a sense of unison in body, mind and spirit and to feel at one with themselves and the world. Yoga is definitely a journey, not a destination – it is not about touching your toes, but what you learn on the way down! The Marion studio has been open for just over 12 months and Terrie couldn’t be prouder of the beautiful yoga environment they have created. The teaching team we have are all amazing instructors and genuinely happy and caring people. Her number one aim and priority has always been to provide a studio that is welcoming, all-inclusive and non-intimidating. Nothing makes me happier than hearing feedback from our students about the positive vibe they feel when attending our classes. More recently Terrie has introduced kids’ yoga and family yoga classes to her studio as she believes children can greatly benefit from yoga, particularly in improving their self-esteem and confidence; improving behaviour; and assisting them to increase their physical and mental awareness. Family yoga is fantastic for building strong bonds and relationships between parents and children which is great as it means children can feel supported and maintain parental bonds as they grow and find their own way in the world. For those seeking a studio with a friendly, positive, and welcoming vibe, Peak Physique Hot Yoga Marion is the place to be. We love having both regular and new students joining us on the mat!